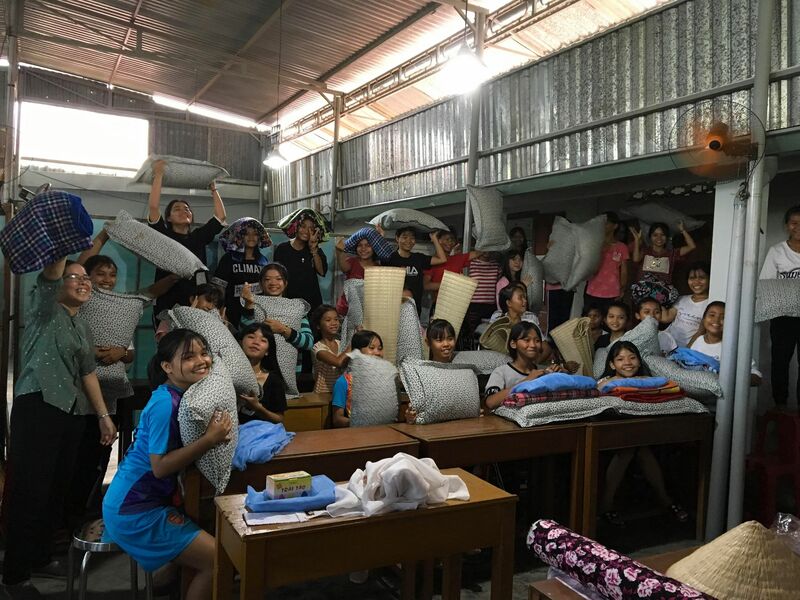 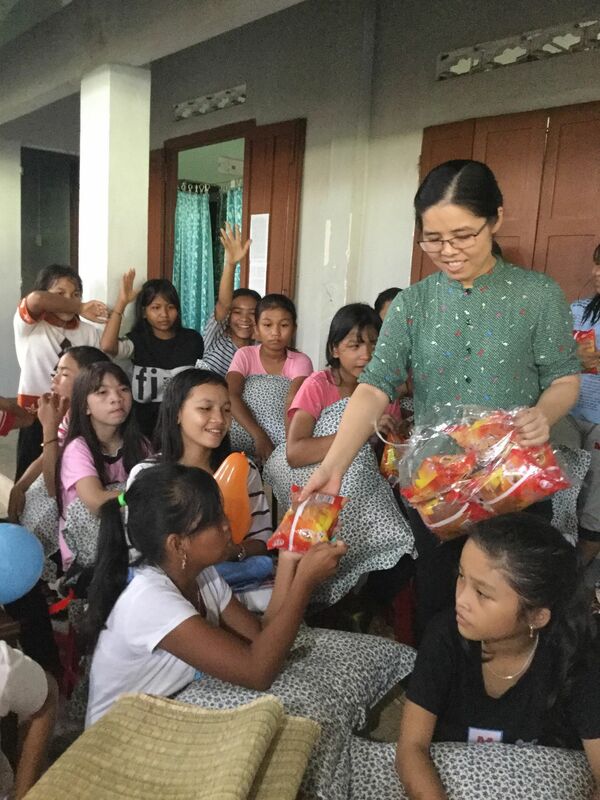 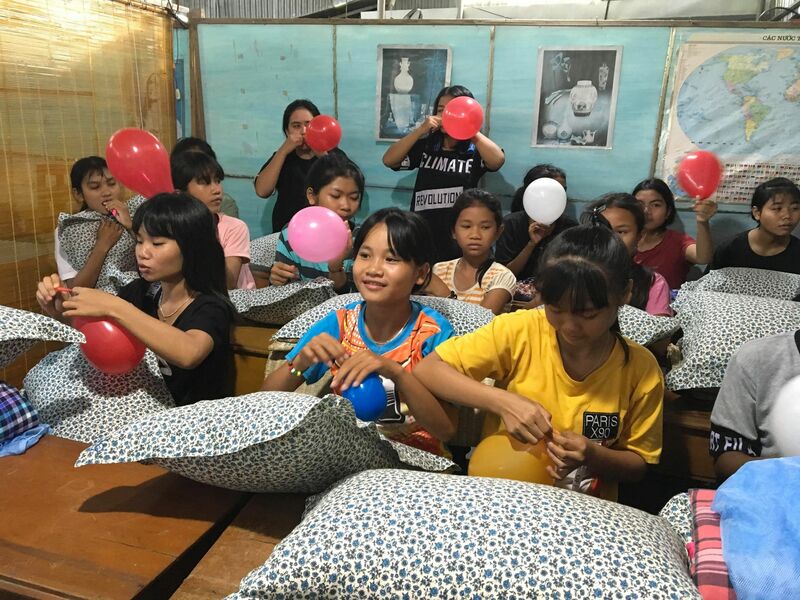 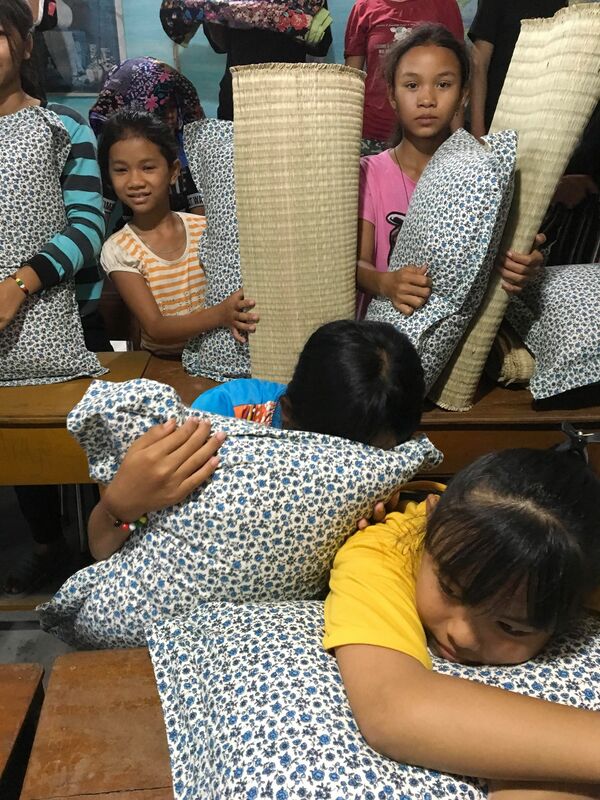 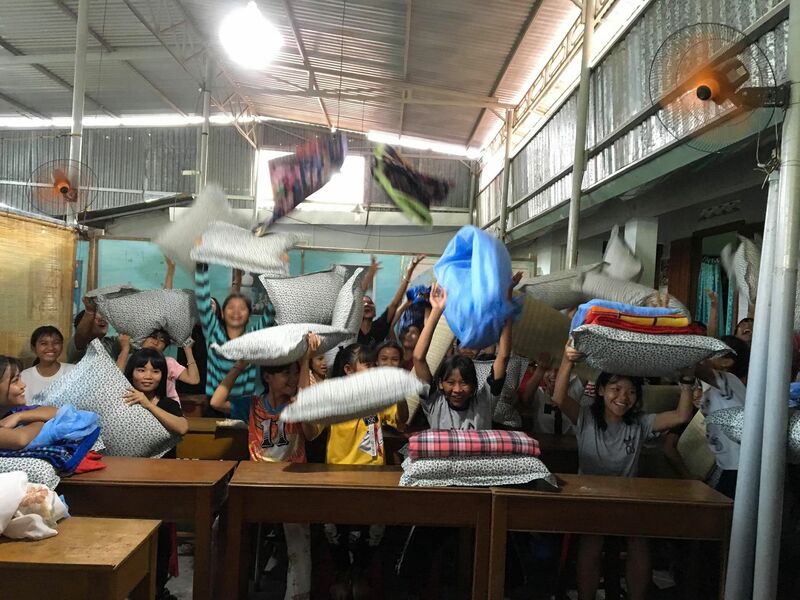 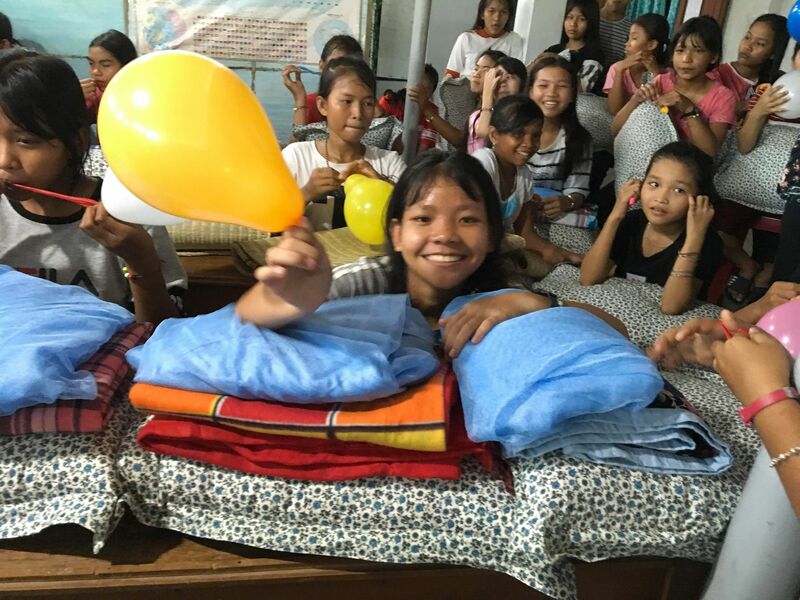 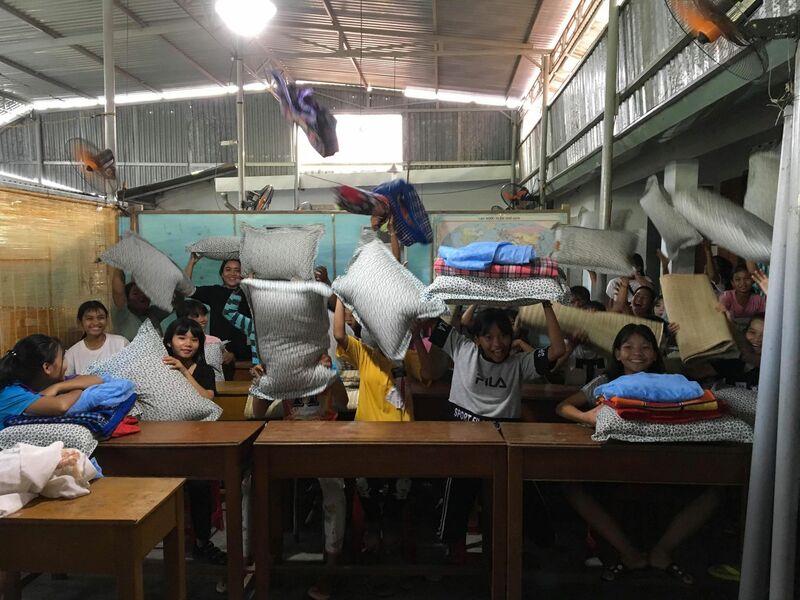 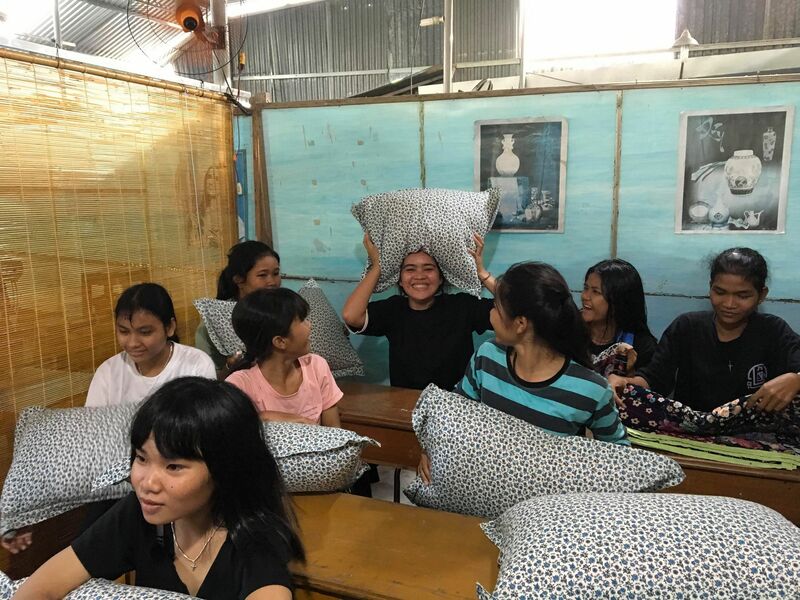 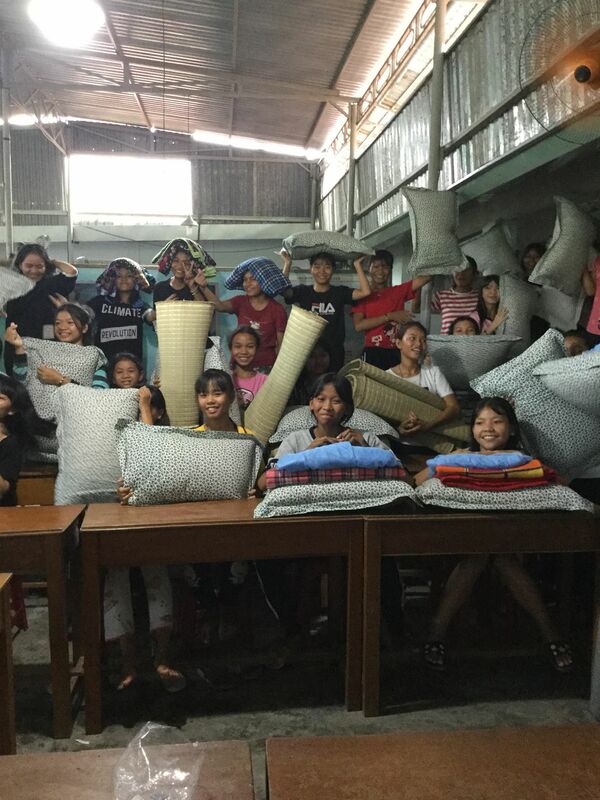 On August 30, 2018 we visited the Suoi Cat Charity Home & School with new bedding and mosquito nets. 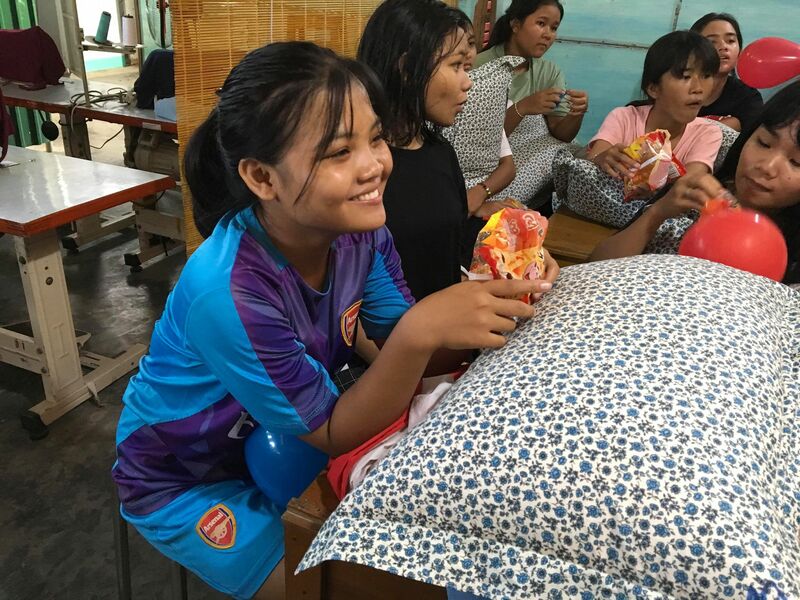 Suoi Cat is a poor community to the west of Nha Trang, composed of rural farming hamlets that live in poverty. 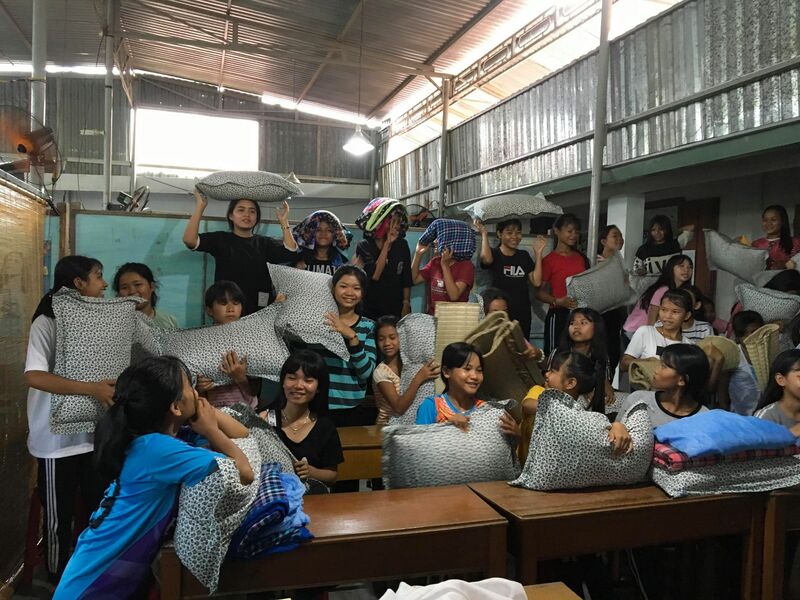 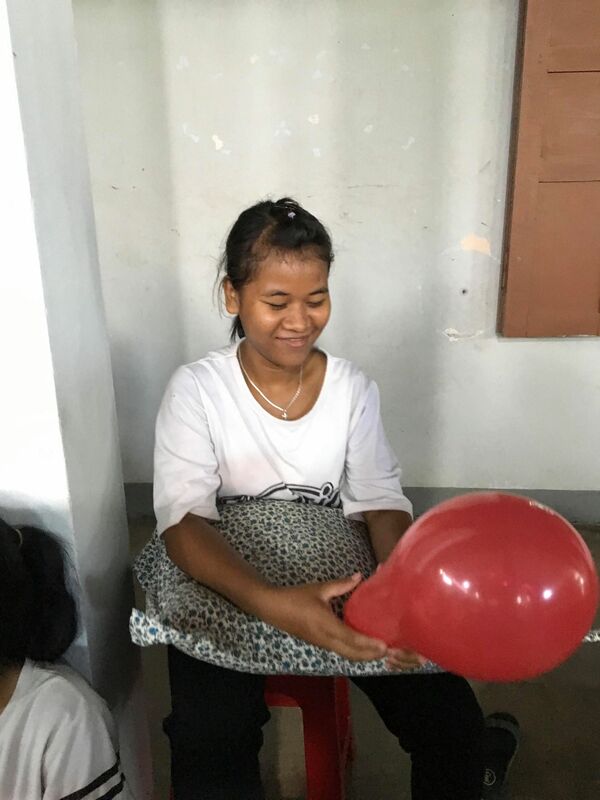 The Suoi Cat Charity Home & School is a loving place that houses and cares for many of the community’s children whose families struggle to support and provide for them. 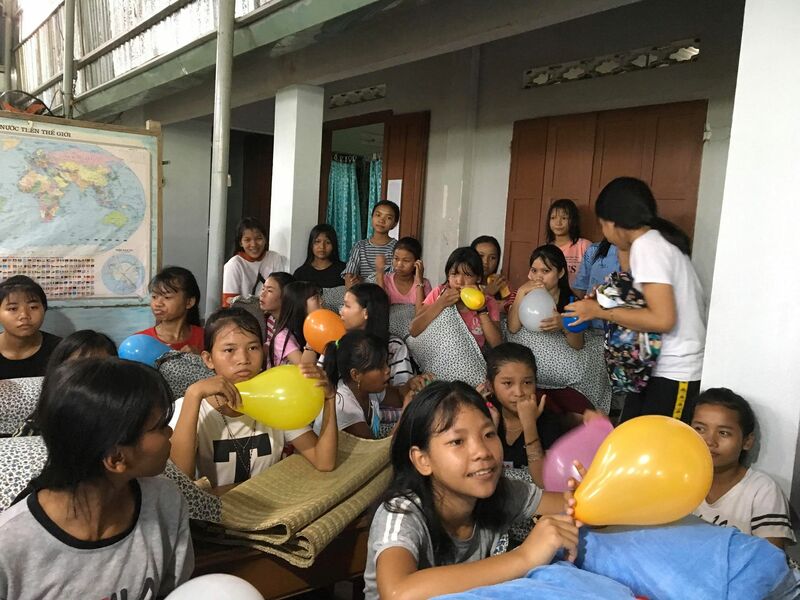 The home is composed of young children and teenage girls, who stay at the home year-round, sleep in dormitories, and have meals together in a communal dining hall. 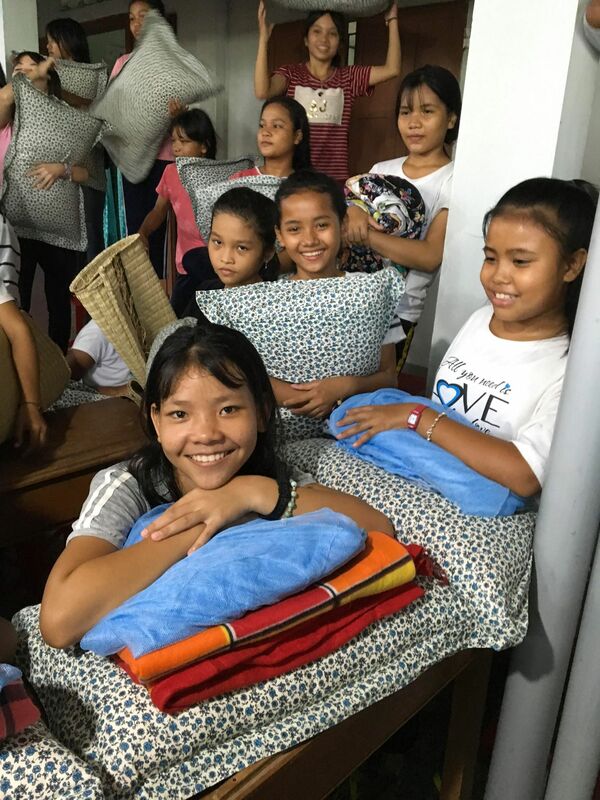 When we asked the nuns what the Home’s current needs were, they listed some specific items that were badly in need of replacing. 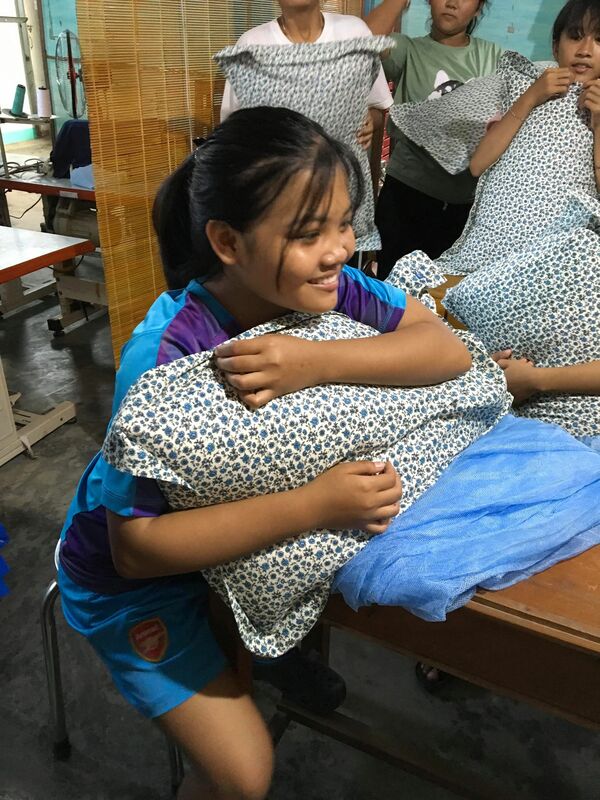 Led my Mai Khanh, our team brought everything on the list to the Home. 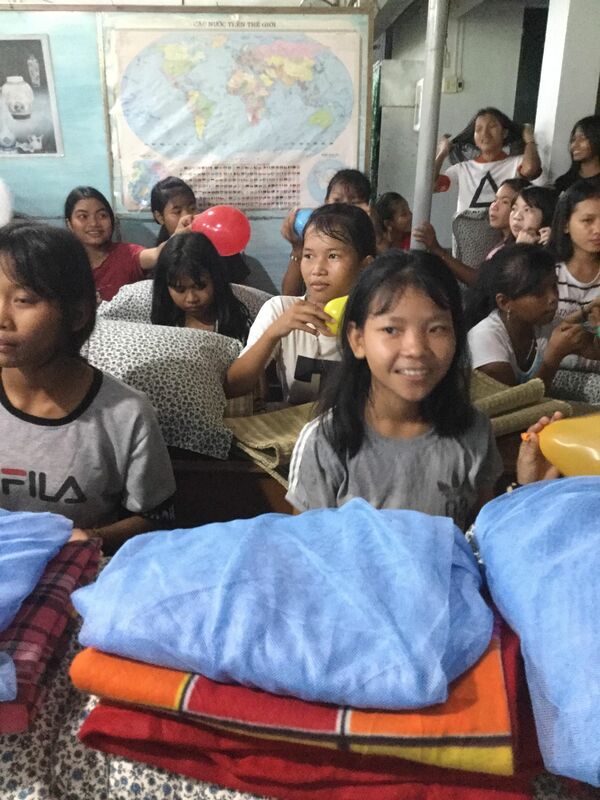 We brought new sleeping mats, blankets, pillows, and mosquito nets for all the children. 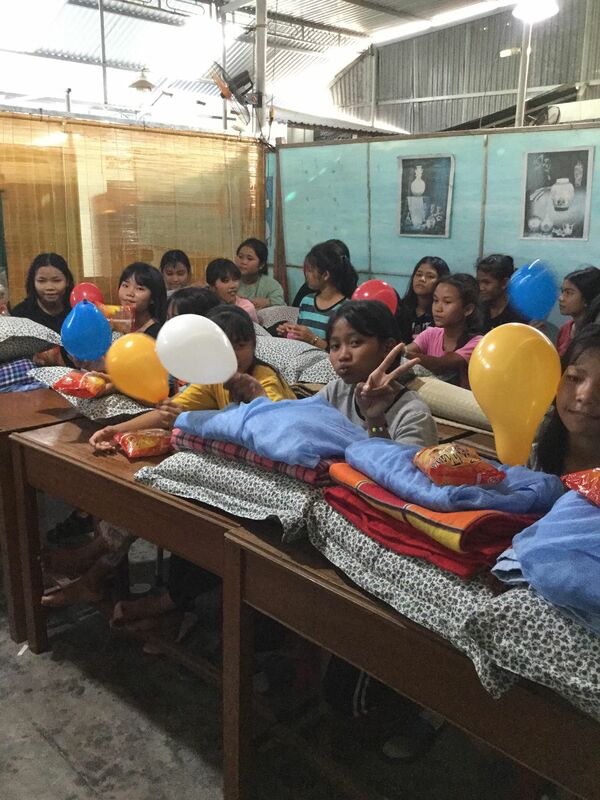 We also handed out balloons and snacks to make it a party. 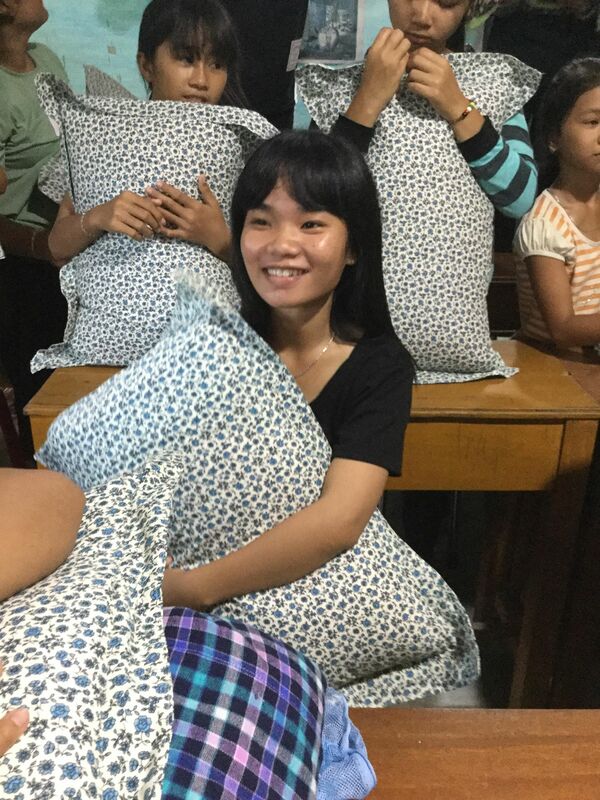 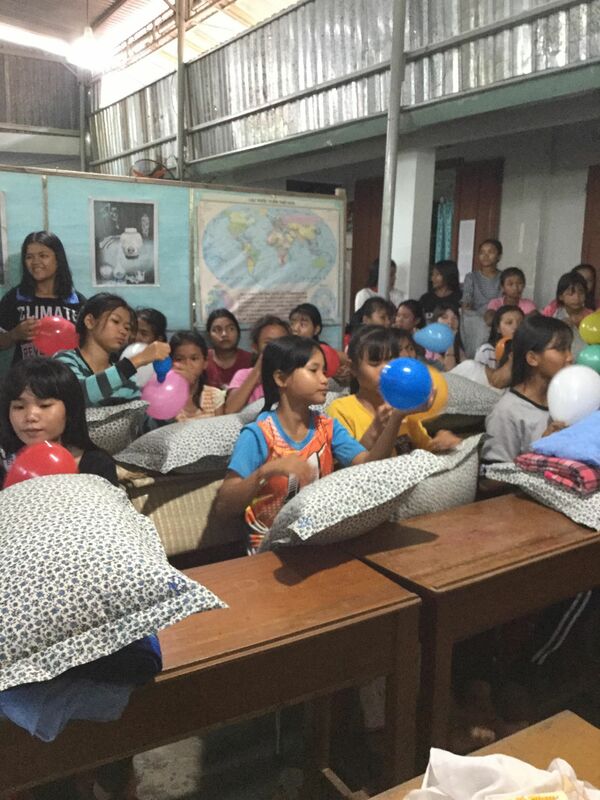 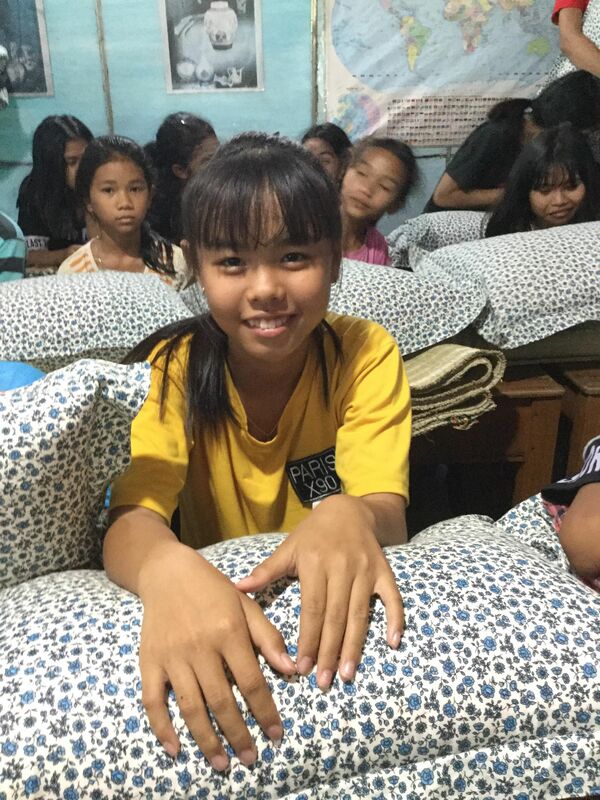 The girls were very excited to have the new blankets and pillows, and everyone had fun in the Home’s main common room. 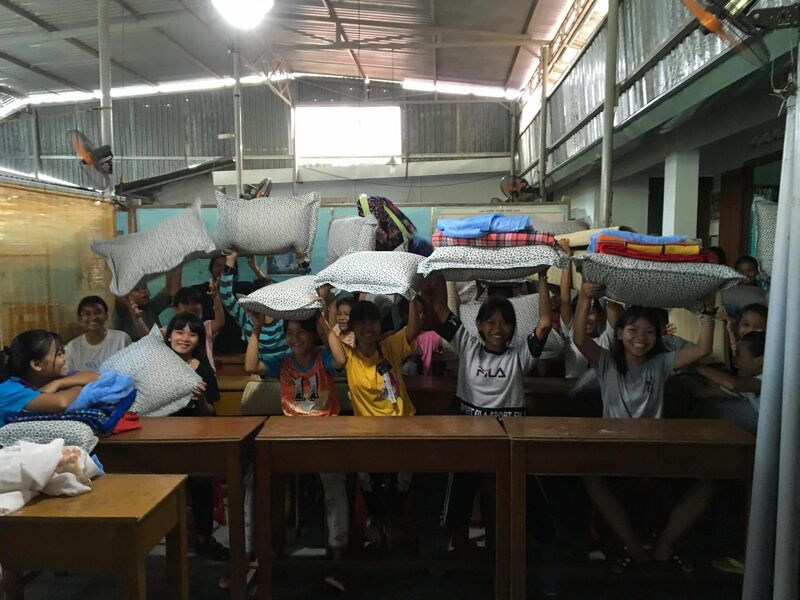 This charity trip was made possible through the kind donations of Suruchi Khemka, Alexander Pham, Kari Pepar, Dane Sawmiller, Sandy Dao, Laura Zimmer, Cuong Nguyen, and Dan, Van, and Devin Haynes.